Salem Chapel. Opened by the Independents in 1791 is the city centre's oldest surviving chapel. Its distinctive ministries of the Revds Parsons, Hudswell, Smith and Wrigley, and Guntrip sustained a vibrant chapel life; closure only came in 2001. 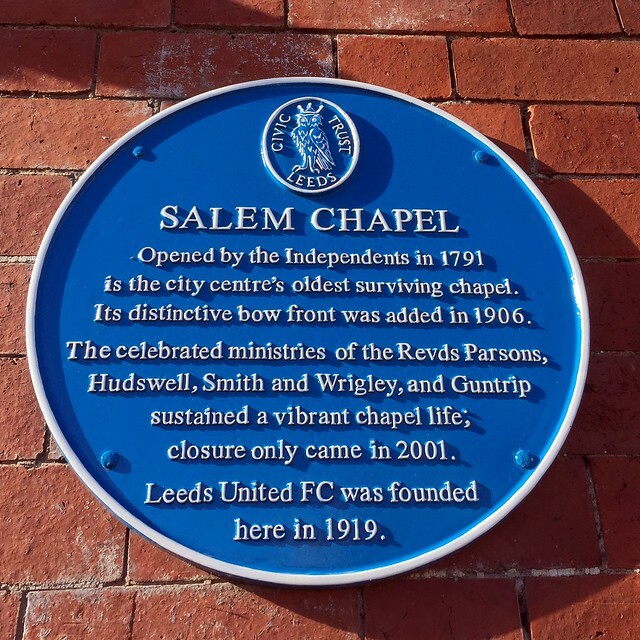 Leeds United FC was founded here in 1919.